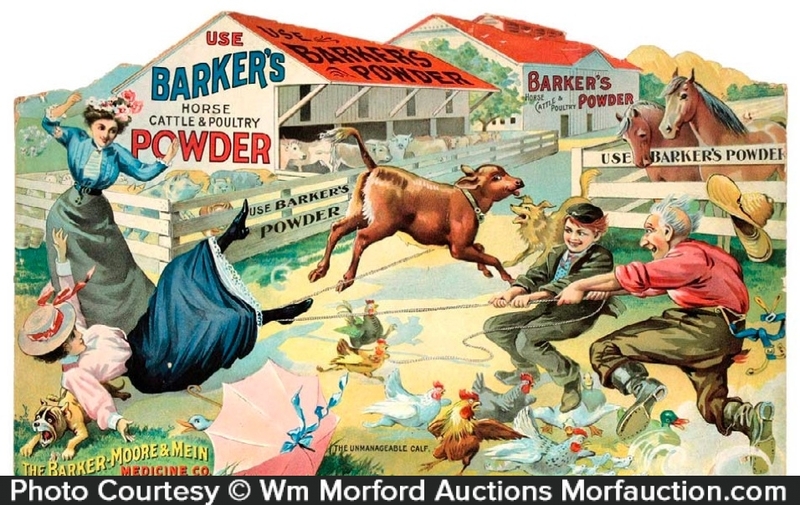 Early lithographed die-cut cardboard easel-back sign for Barker’s Powder veterinary products, w/ beautiful multi-color graphics. SKU: 66-18. 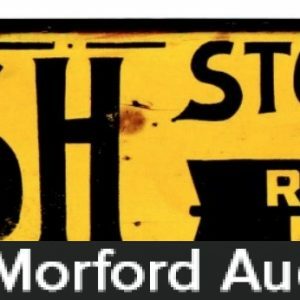 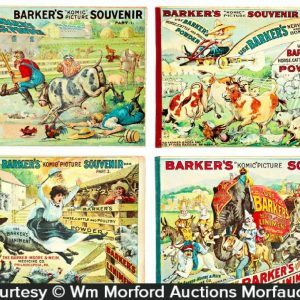 Categories: Antique Signs, Antique Veterinary. 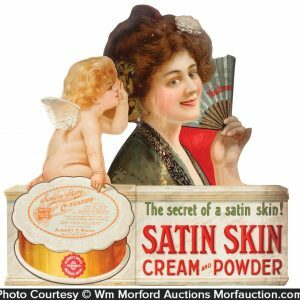 Company/Brand: Barker Moore & Mein Medicine Co., Barker's Horse Cattle & Poultry Powder. 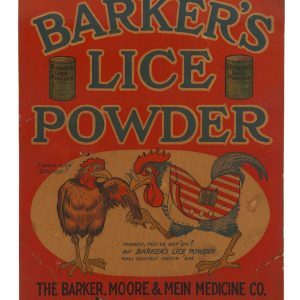 Barker’s Powder Sign: Early lithographed die-cut cardboard easel-back sign for Barker’s Powder veterinary products, w/ beautiful multi-color graphics. Clean, bright and very attractive (basically displays as a strong C. 8/+) although close examination will reveal 4 small tack holes (barely noticeable) and a non-offensive light crease/bend mark in bottom right corner.